Hello my friend, I want to explain something to you. 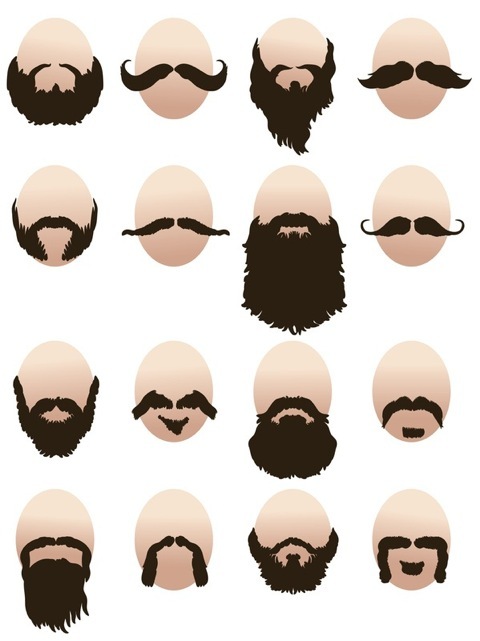 You don’t choose your facial hair, the shape of your face should choose your facial hair style. Really. I know this sounds unbelievable, but it is true. You don’t get to pick the same facial hair as your friend or your favorite rock star. It probably won’t work for you. Instead, you should look at your facial structure and choose a facial hair style that will make you look not-stupid. For example, if your chin lacks shape or has gotten a bit chubby, it is a good idea to add some shape to it with a goatee. This explains why you see a lot of 30 somethings wearing goatees, their face got a little fat and they are making the best of it. The Soul Patch, is useful for breaking up a large chin or someone who’s lips are a little higher than they should be. Got it? Let your face choose your facial hair. Once you have decided what facial hair style you want, all you will need is a good beard trimmer. If you have never used one before, beard trimmers are pretty handy. They usually have a few different length settings so that you can trim your facial hair exactly the way you want it. I use a 9 setting trimmer. Setting 3 is good for goatees and stuff like that, setting 4 is good for blending my sideburns in. Setting 1 is useful if I want to trim my hair down low before I shave it clean, like if I have a bunch of days of stubble. Anyway, I have a remington beard trimmer and I would recommend it to a friend. This one is cheap and reliable. I suggest it.